The future EU budget should cut wasteful spending, increase coherence and put sustainability at its heart. 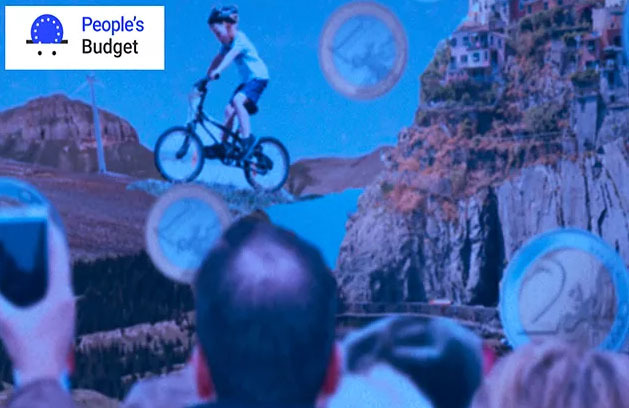 The People’s Budget campaign, which is backed by SDG Watch Europe, calls for specific reforms to bring the Multiannual Financial Framework (MFF) in line with sustainable development, including ambitious implementation of the Sustainable Development Goals. A people centred budget can hold the key to many of the challenges facing Europe. We call on the European Commission and finance ministers to apply a new methodological approach for the future EU budget: sustainability proofing along a set of sustainability principles. This would be in line with the preliminary report of the High-Level Expert Group on Sustainable Finance established by the EC. Sustainability proofing could be realised by improving tools already available. One example is to apply a better definition of the European value added, which takes into account all dimensions of sustainable development. Another is the expansion of the partnership principle to all major internal funding streams. In addition, targeted sectoral measures are also needed, such as phasing out environmentally harmful subsidies, creating a financial instrument for establishing a European network of green infrastructure and earmarking money for social inclusion. Sustainable development should not be an empty cliché in the EU budget context, and the People’s Budget campaign proposes concrete ways on how to give it meaning. Simplification should not be a pretext to allow inefficient spending that serves contradictory objectives or investments that do not serve the public good.